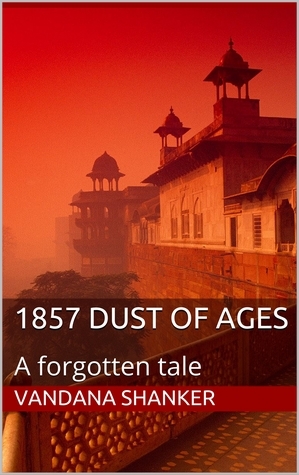 ​1857 Dust of Ages is a slim book with a story woven around the events presaging the Mutiny of 1857. It describes the role of British in weakening the Indian royalty and establishing more than a foothold in administration. The book is well researched, the language is simple and the romance which forms the central role in the novella holds attention. The book is written in a back and forth way switching between past and present. The mystery of the unlikely marriage is maintained and highlighted by the growing dissension between the aristocracy and the British command. The language is passive at times and events jump forward in a ploy to serve the mystery. Since the book is slim, the story could easily have been written as a novel depicting the whole story. As it is, the ending is abrupt and jarring and leaves the reader wondering why it has been divided into multiple volumes. A clear disclaimer regarding the continuity would also help the readers. Read it for an imaginative glimpse for colonial India but be prepared to read other volumes to get the whole story. 1857. The rebellion erupts in India. Despite its attempts to stay aloof, NAVGARH, a small town near Delhi, is drawn into the conflagration. And at its heart are Princess Meera and Captain Richard Smith, with their strange alliance made for the throne of Navgarh. 2016, Shiv Sahai, a young Indian art historian and Ruth Aiken, a British scholar discover an excerpt from the journal of an anonymous British soldier, searching for his wife in the chaos of 1857 Delhi. As they begin investigating the scandal, they become aware of the vague rumours that are told in the bylanes of Navgarh – about a princess who married a British soldier to save her kingdom. Camp, Delhi Cantonment, 16 August, 1857. Things have changed forever. A day spent in the company of my old friend Knox made it clear. These distances can never be bridged. The pole of his tent snapped in the storm yesterday; and for the sake of old friendship, I offered Knox my humble abode. But his rancour was jarring. His determination to teach the enemy a lesson, the unshaken belief in the rightness of our mission– such bitterness asks too much of friendship and duty. Earlier we went over the battlefield. One of our regiments was destroying the village near the bridge to prevent the enemy from getting cover in it. Elephants were pulling down the walls. The villagers stood by as their houses turned into mud while the monsoon clouds gathered on the horizon. Unfortunately, they were the Jats, who, for the most part, are our friends. We decided that the destruction of their homes and fields was necessary. Twenty-three men – their countrymen – were lying together in the ditch at the back of the village; we weren’t sure if they were the rebels. A party of Rifles killed then en masse, just to be sure. We left the village with our bags swollen like raisins in water. And who can blame our light-fingered gentry? Armies are said to travel on their stomach. At some distance from our camp, I can see the sun setting over the fort of Delhi. It isn’t much different from the first sunset I witnessed here years ago. How things have changed! We came with a mission – to know this exotic land, to bring the light of knowledge and civilization to its darkness. Now the memory leaves me embarrassed. These massive red walls made me uneasy even then. Today they mock our camp again. Whatever be the outcome of this devil’s wind, it has revealed the banality of our mission. Knox’s bitterness is an expression of the anger in the camp. When the cannons are quiet, the silence resounds with confusion, with terror, with rage, but most of all with the question ‘Why?’ As we sit around a small fire every night, the question rages in every mind. ‘Why the mutiny? Haven’t we brought the glory of civilization to this land of superstition?’ These thoughts simmer as we deal with hunger, heat and rain. But soon these questions will be forgotten. The winners will annihilate the other side. Already I see the madness in the eyes as rumours reach us from other places – Cawnpur, Jhansi, Lucknow. Madness will soon be let loose. I often feel that the answers that elude me today were within my grasp a short while ago. They are somewhere near, yet unreachable, like the time gone by. I promise to look for them once I have found her again. For she, I feel, holds a part of it. So every evening, I try to escape this madness by thinking about her, Princess Meera of Navgarh, a rebel soldier and my wife. It is the third year of our marriage. Three years of tenuous links and fragile understanding. It was only a matter of time before an explosion happened. And it happened that eventful week when Navgarh too burnt in the fire raging all across India. The news that the sepoys in Meerut had rebelled spurred both of us. Did I expect Meera to be a dutiful wife when all her beliefs, her convictions pulled her in the opposite direction? Was I surprised on knowing that she was in Delhi, amongst the rebels? Would she be surprised on knowing that I have followed her as an enemy… a British officer? And as I follow her, I stand here once again, after five years, outside the walls of the Red Fort in Delhi. Delhi-born Vandana Shanker is the author of the series 1857 Dust of Ages, a historical fiction set in the year of the great uprising in India. 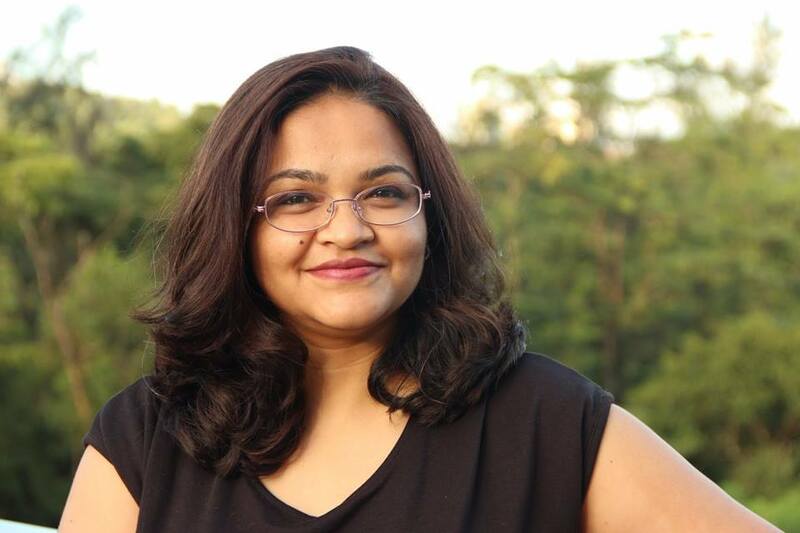 A PhD from IIT Delhi, Vandana is passionate about history, storytelling and art. Apart from writing, she teaches literature and creative writing in Malaysia. She has also taught in Universities in India and Vietnam. She currently lives in Kuala Lumpur with her family and wants to travel the world. Please welcome Vandana Shanker, author of 1857 Dust of Ages. Vandana is here to share her views on research for historical fiction. Question: How difficult was it to manage the research? Did you innovate to fill up the gaps or stick to facts throughout? As I wrote and researched for my book 1857 Dust of Ages, I learnt that writing historical fiction is different ball game altogether. And I had no idea, no formal training and I had plunged straight into it. On the way, I learnt a lot of things. I would try to put them together in Rules of writing Historical Fiction. Read a lot of stories. They could be fictional or non-fictional but they would create images of the era in your mind. When researching for my book, one book that stands in mind is William Dalrymple’s ‘The White Mughals.’ That had the germ of the story – an interracial romance. The rest of it came from various other fictional works, diaries and stories that I had read and heard over the years. Take notes. Lots of them and let there be gaps. They don’t have to be accurate. The notes would give you the larger picture whereas the gaps are the places where your story would evolve. Study old pictures and paintings. This is essential for evocative writing- words that evoke the senses. Since there aren’t many photographs of 1857, I turned to paintings of the British in India and Mughal era miniatures. I have integrated many of these paintings in my story – as clues to the past that Shiv and Ruth unearth Pictures give the details that writing often misses out. Go to the location. For me it was the Hop on, Hop off around Delhi. Being a Delhitte, I could capture the bustle of the city, but to see it from the point of view of an nineteenth century character required more. As I went around, I learnt so much more about Delhi. For the last scene of the series, I visited Roshanarabagh and QudisiaBagh. Despite living in the city all my life, I had never been there ever before. Find a balance. You are not writing history. It is fiction and it is meant for the contemporary readers. I spent a lot of time recreating the diaries and letters in the language that would not put off the readers. Some places I have taken some liberties with the facts though I did stick to the broader details. Thank you, Vandana. It was enlightening to hear your views. As an author of historical fiction, I agree that it won’t do to turn your research into a history lesson, and holding a deep interest in history as I do, I know it’s all too easy to get immersed in delving the details of the bygone eras. Indian history is so rich and engrossing a subject that one cannot help it. At the same time, it’s really important to get research done accurately to give an authentic feel to the era. I myself love the 500ADs and write about Maharajas and princesses, but I look forward to reading about the Rule in your book. It was lovely having you here.